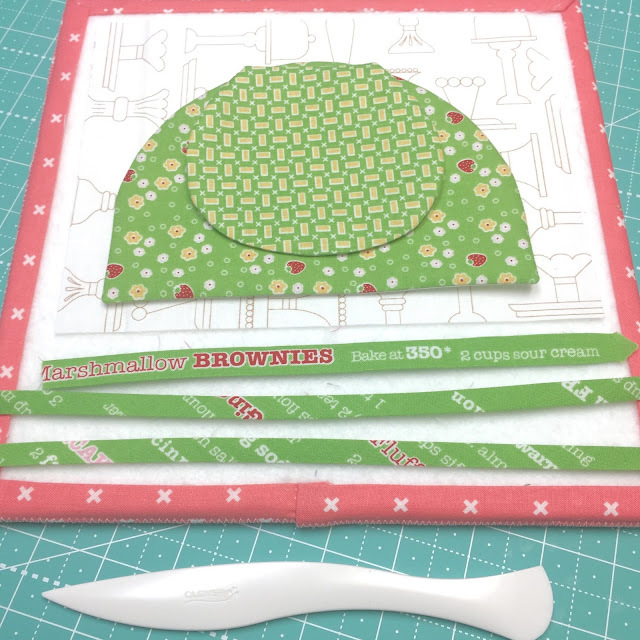 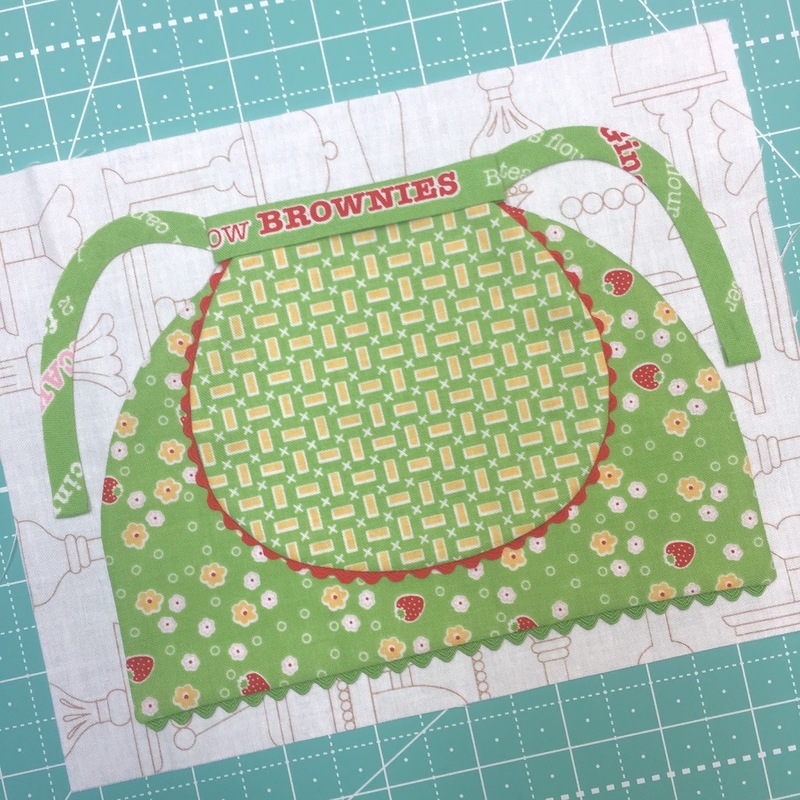 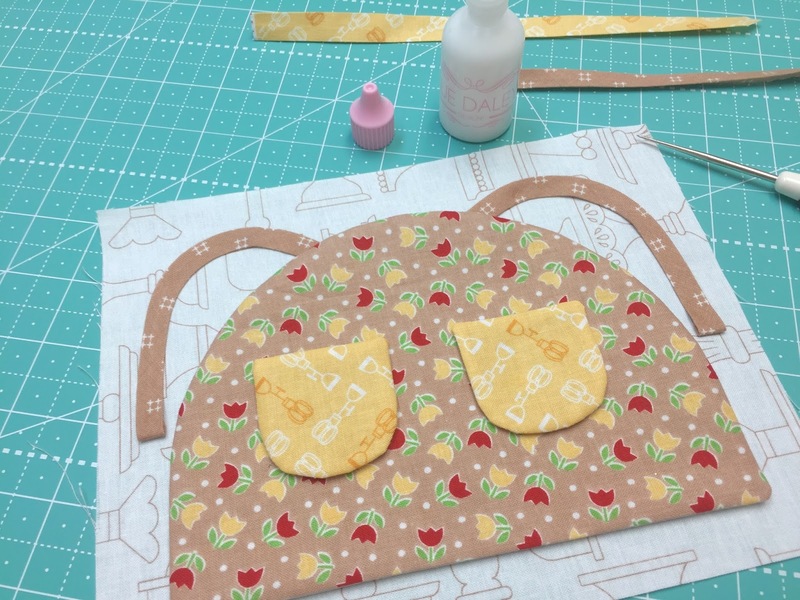 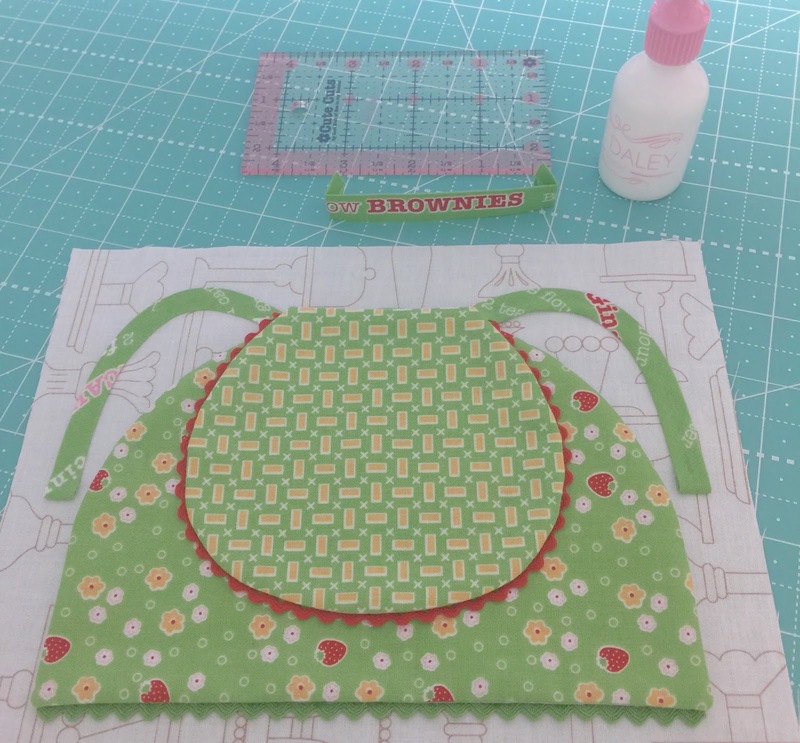 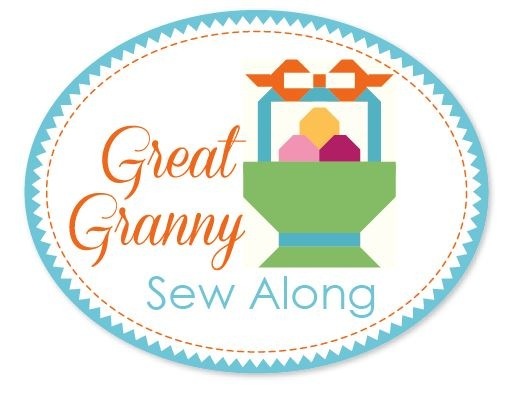 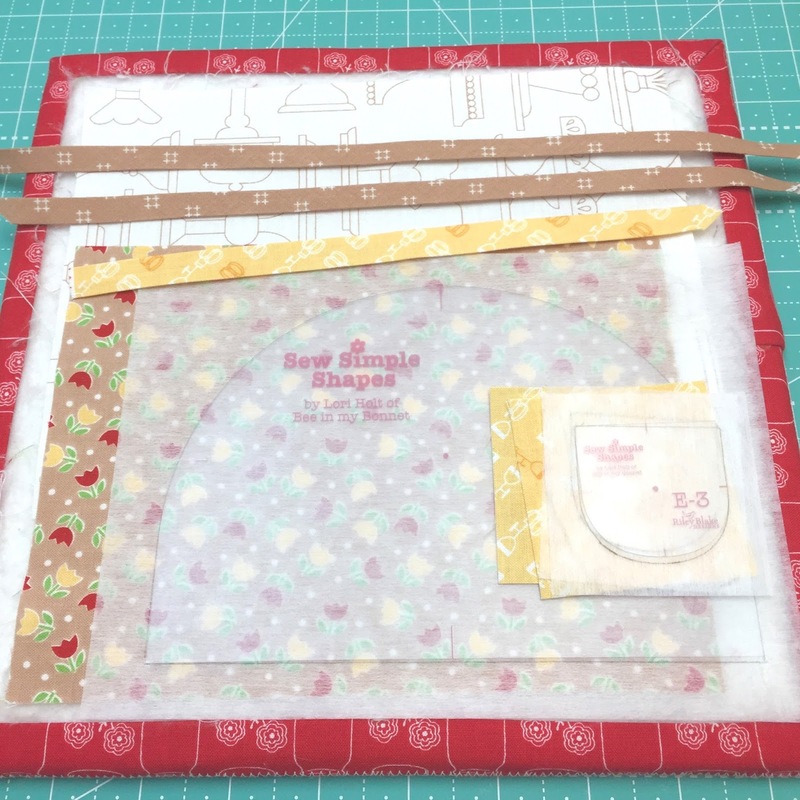 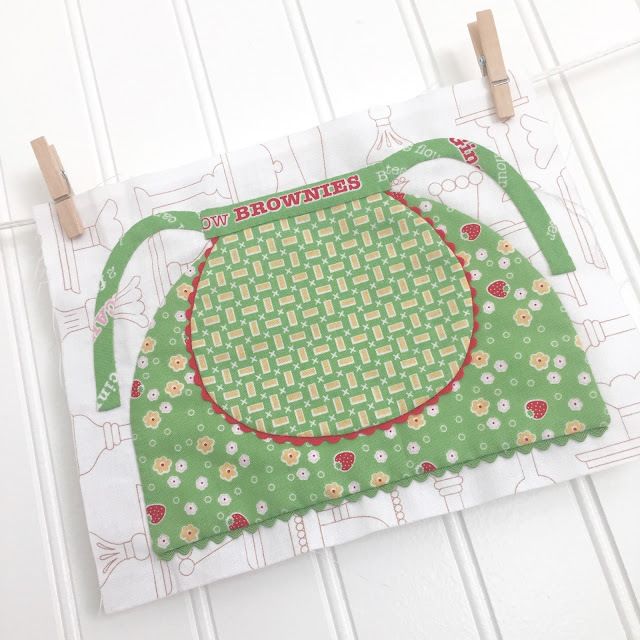 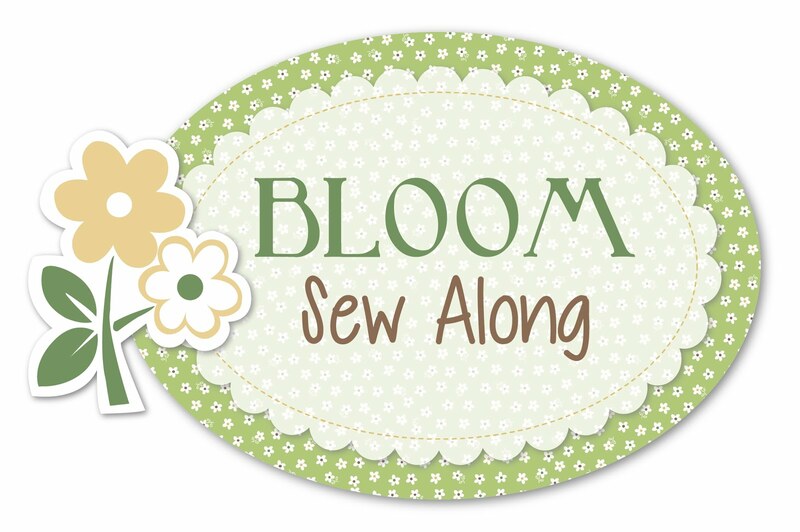 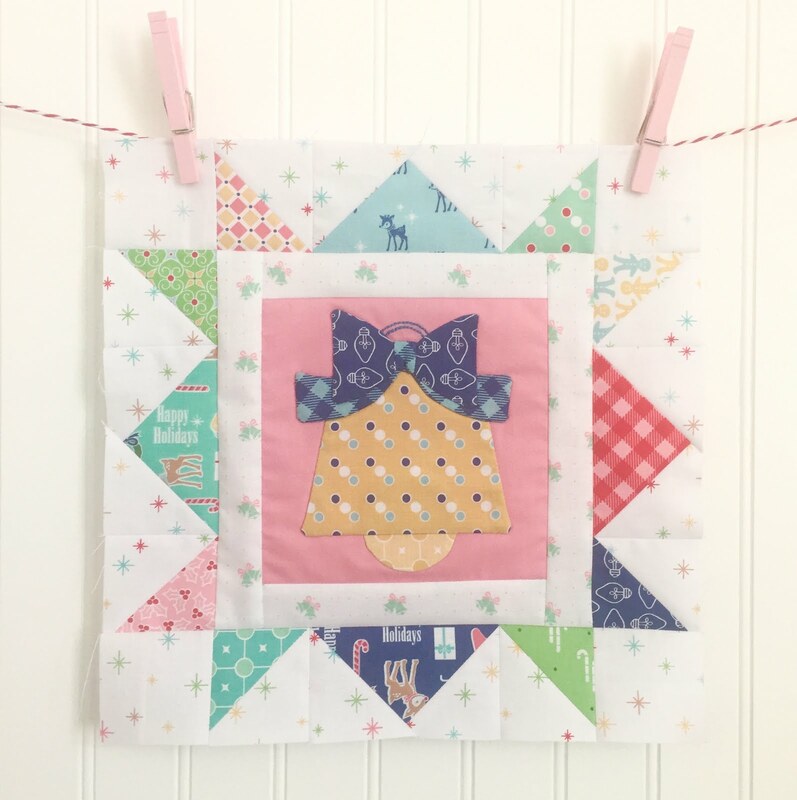 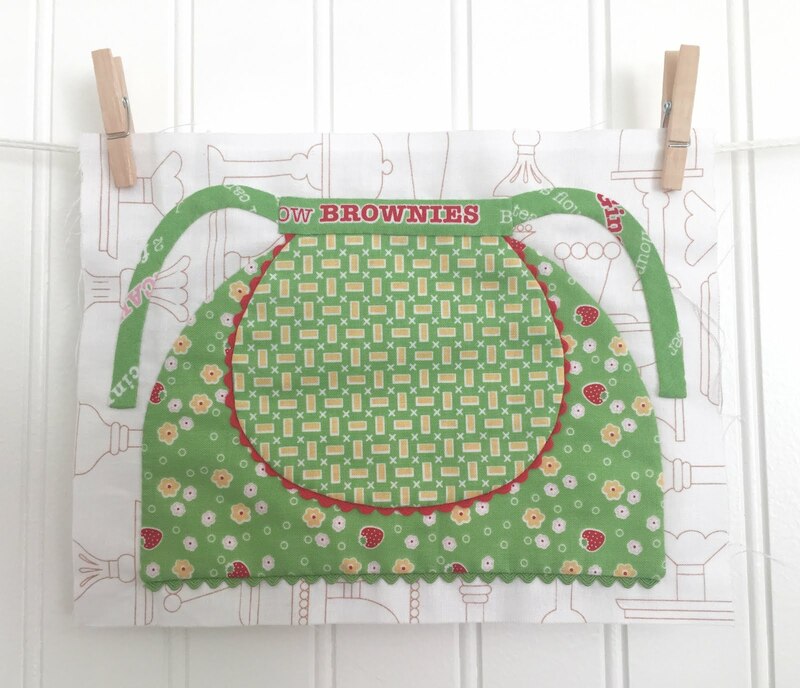 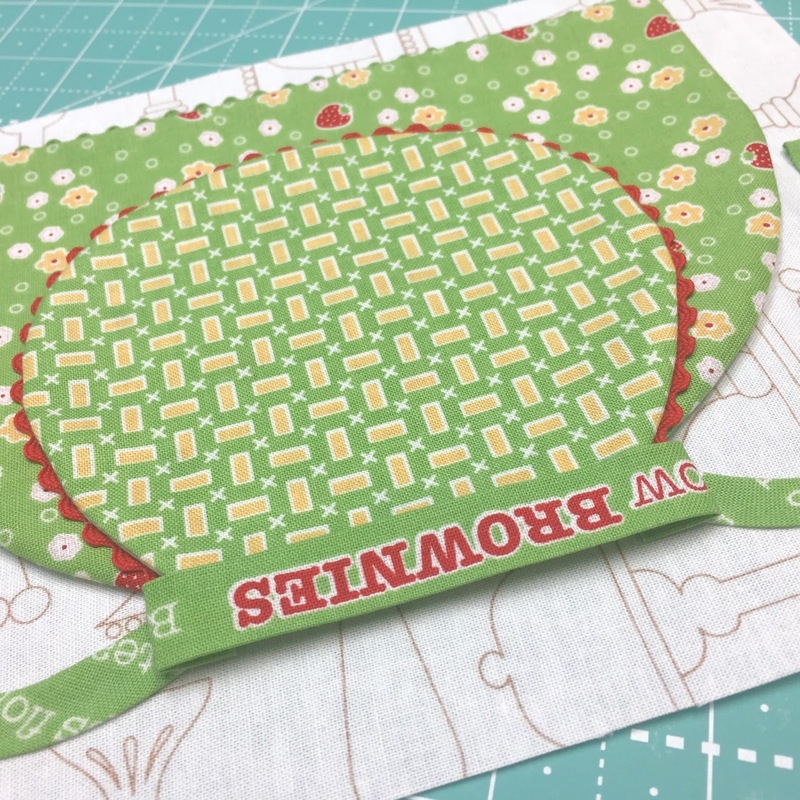 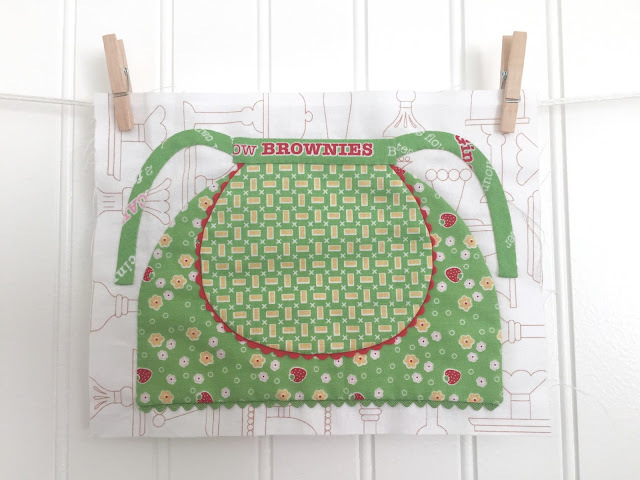 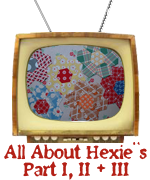 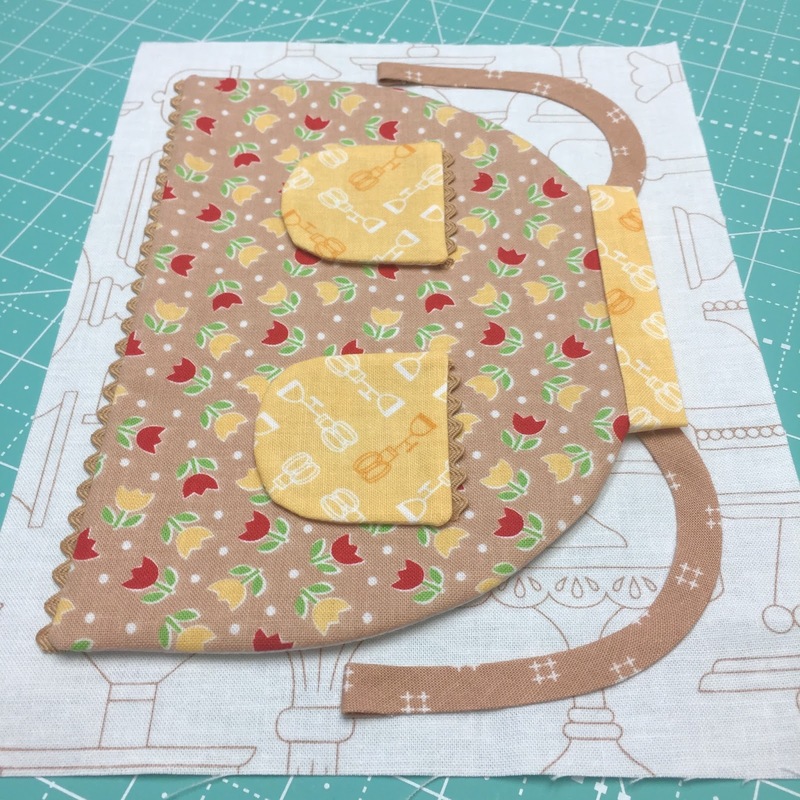 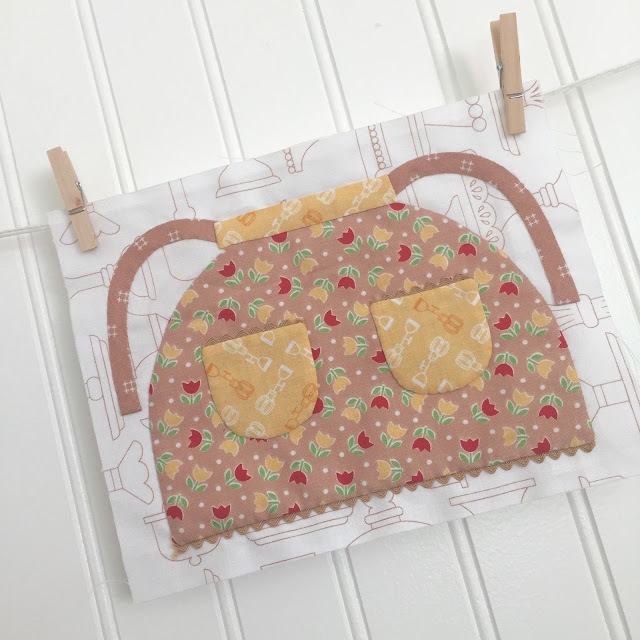 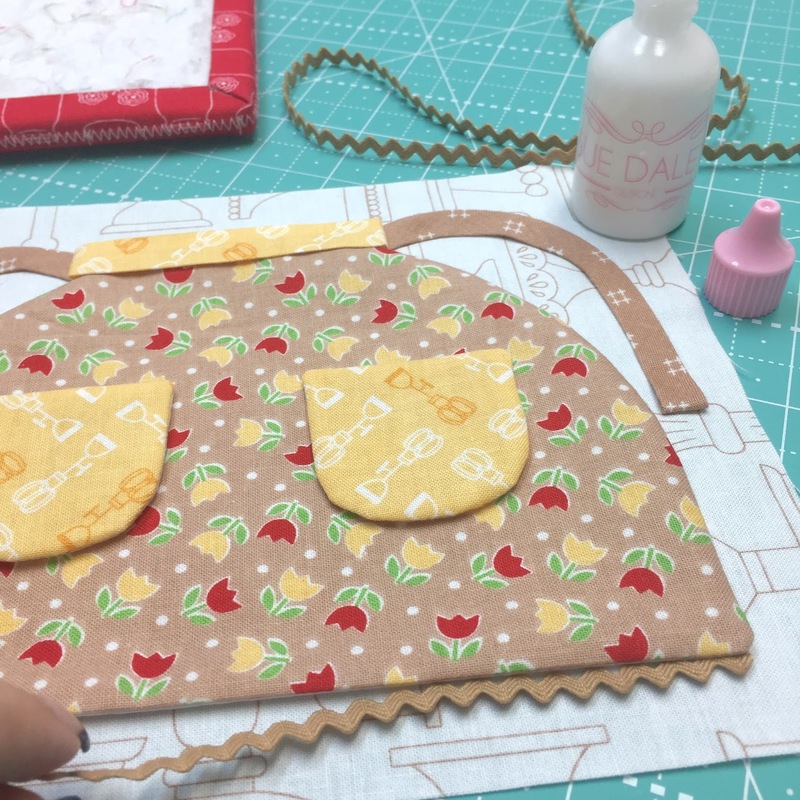 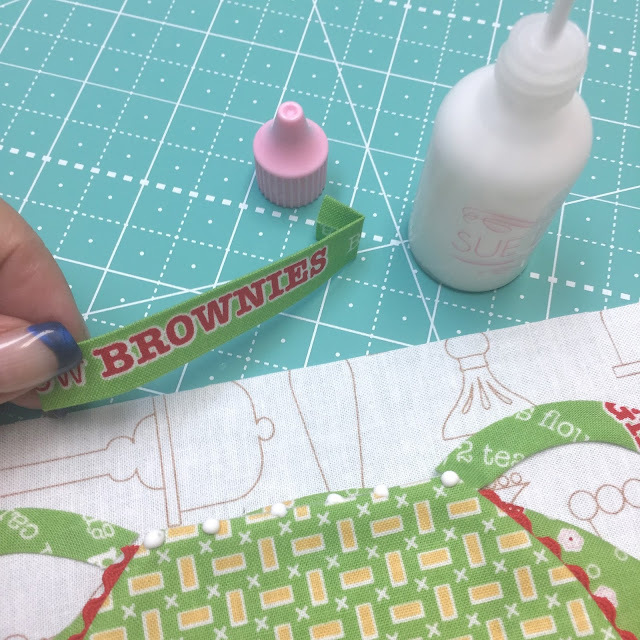 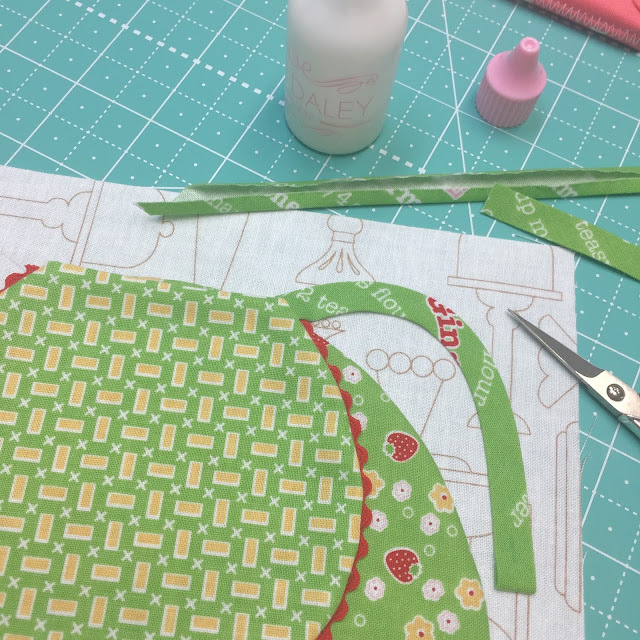 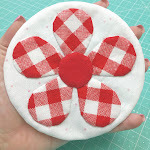 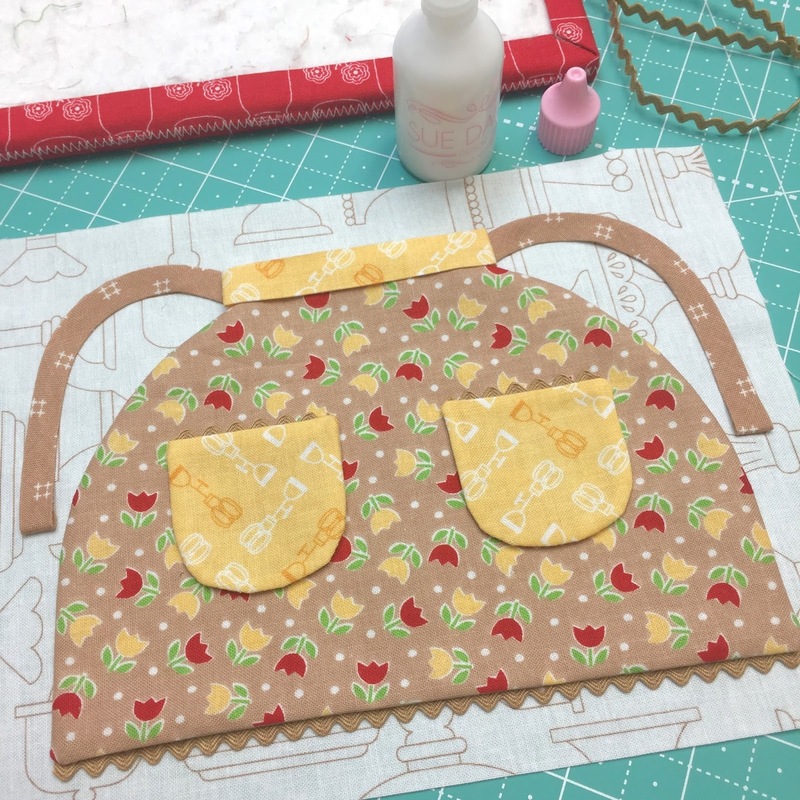 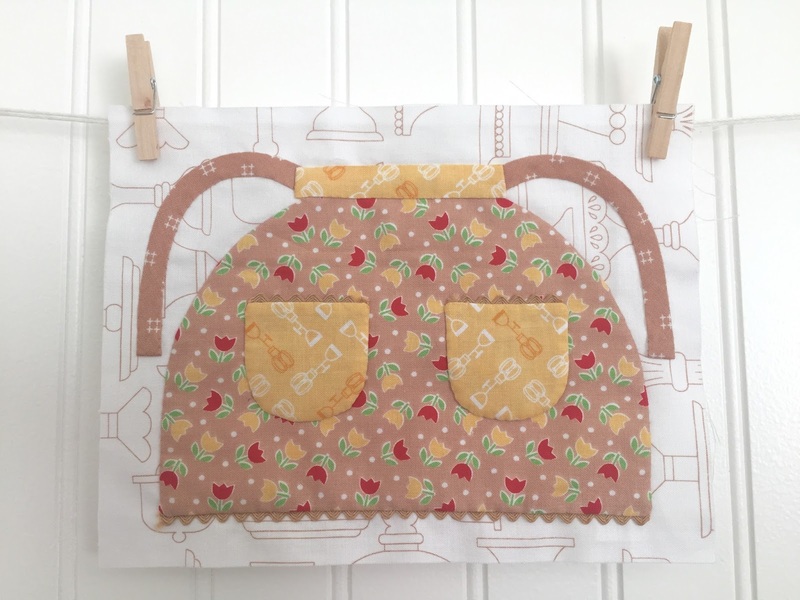 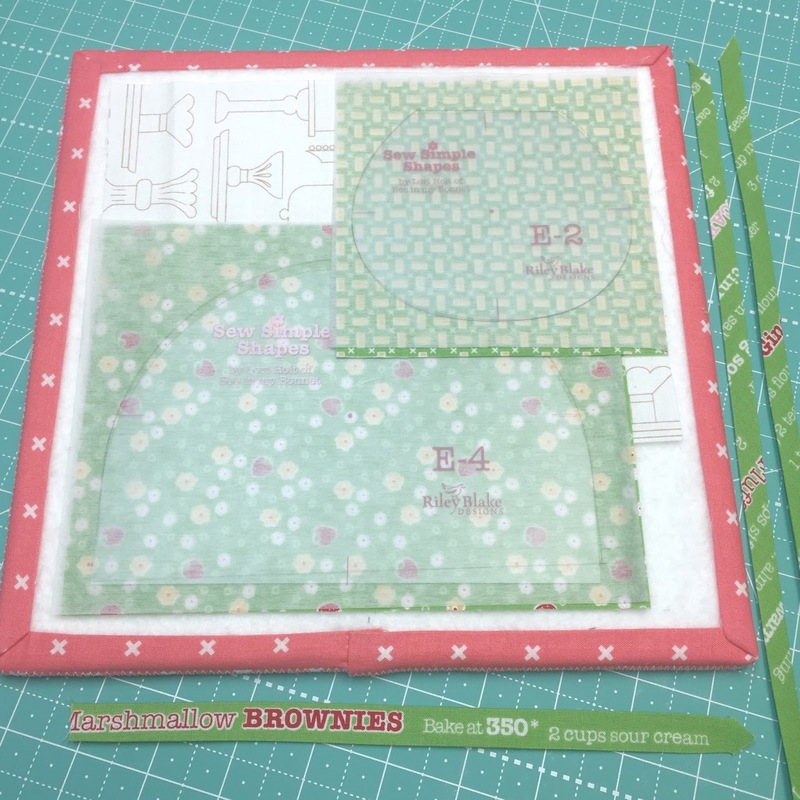 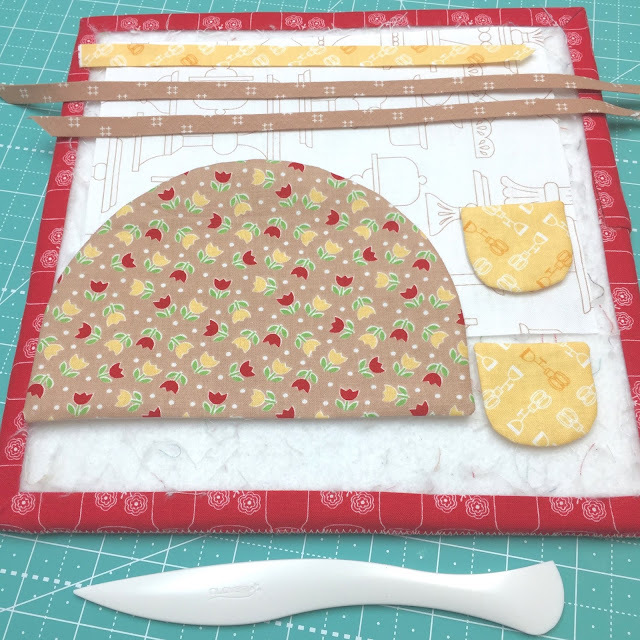 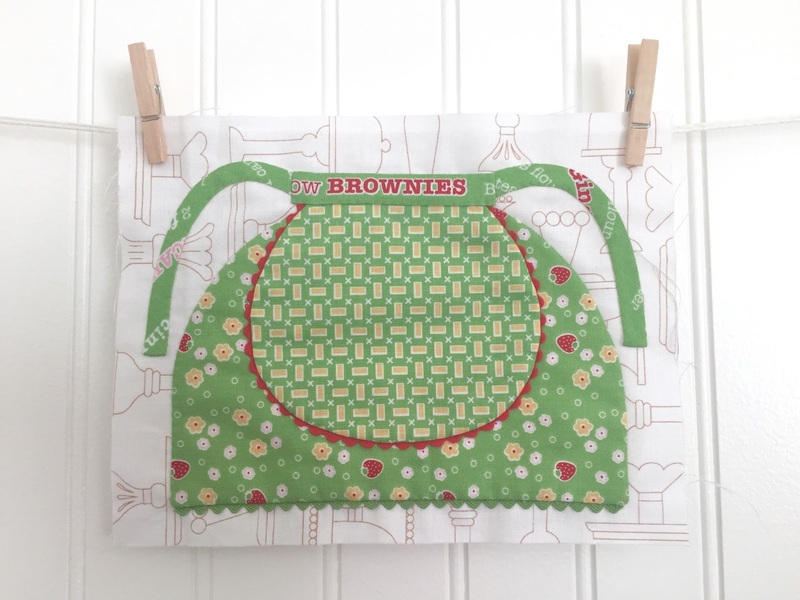 Bee In My Bonnet: Let's Bake Sew Along - Week Eleven!! 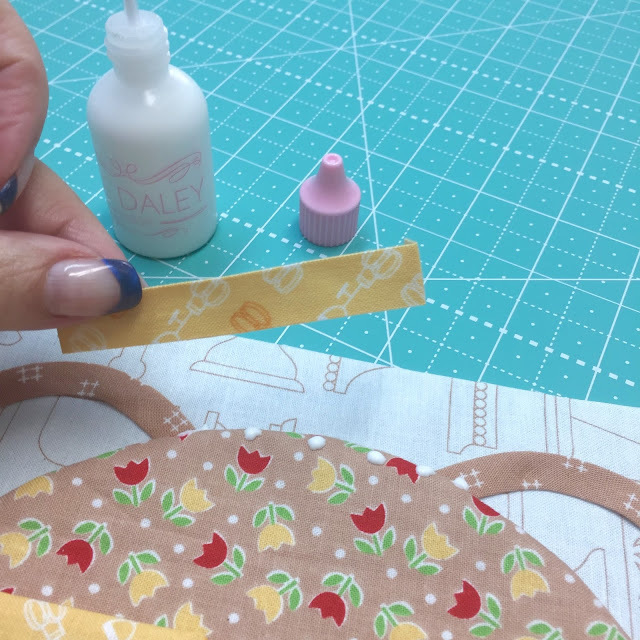 And glue baste into place. after you appliqué if needed. 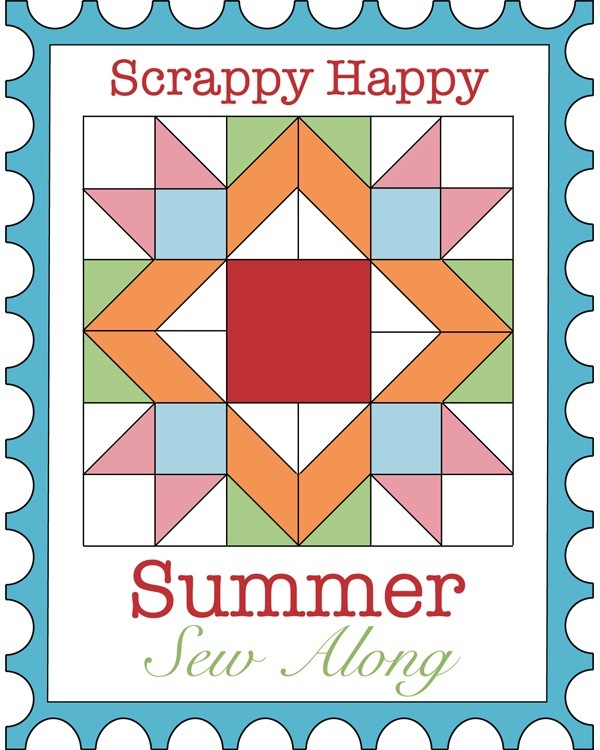 sewing it into the quilt. 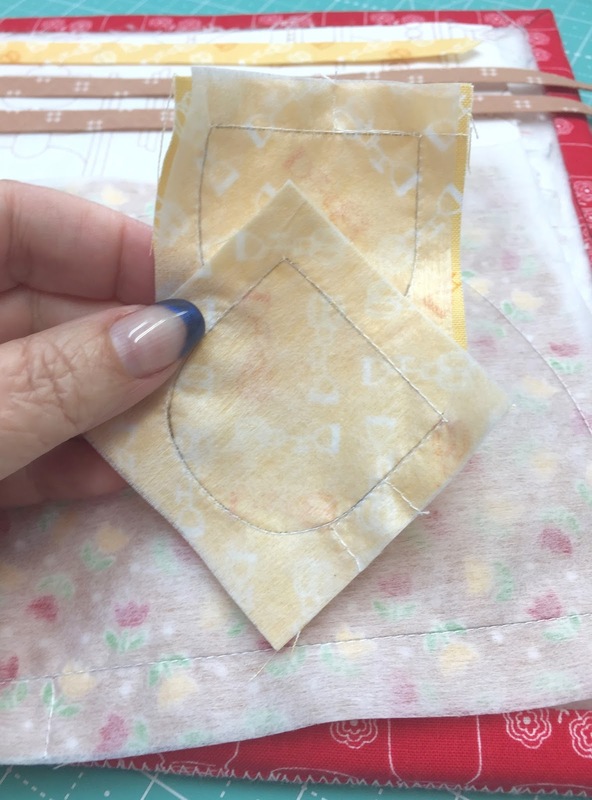 Okay...now for the last block. 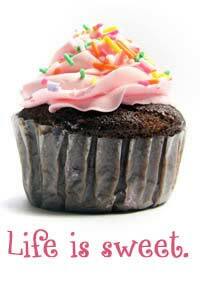 sad at the same time! 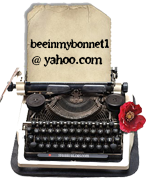 from the bottom as usual. 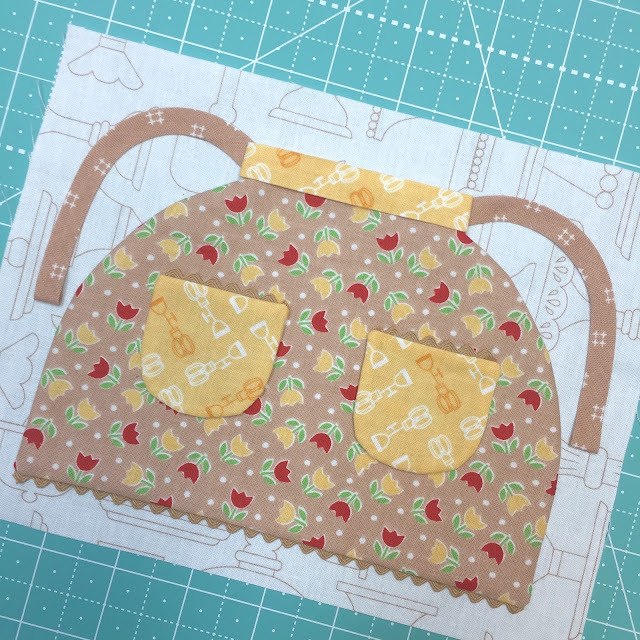 the top part of apron. green Vintage Trim along the bottom. 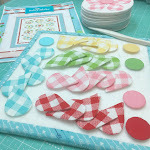 super cute when you do! 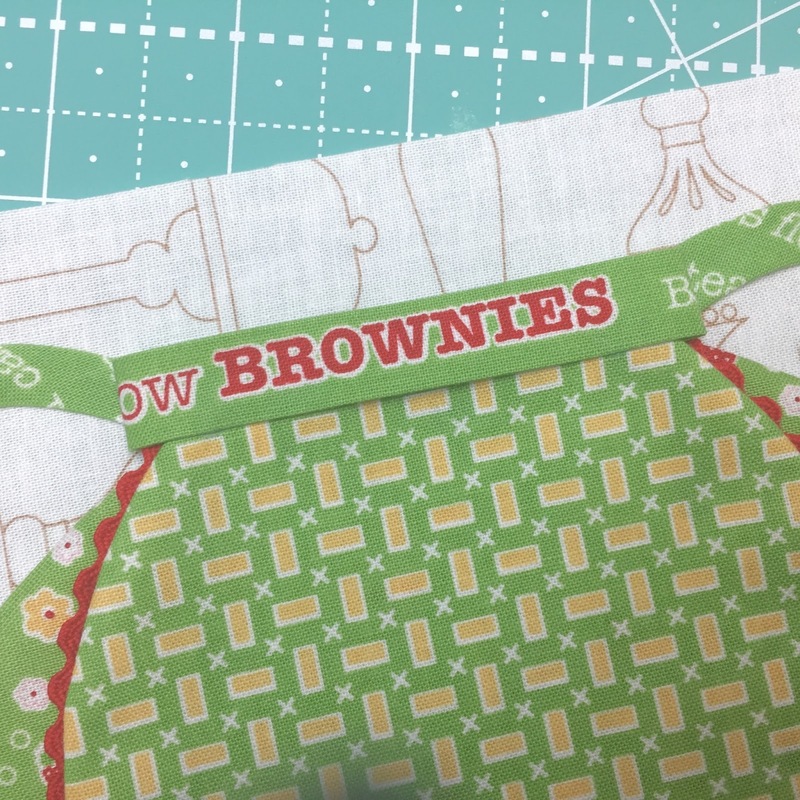 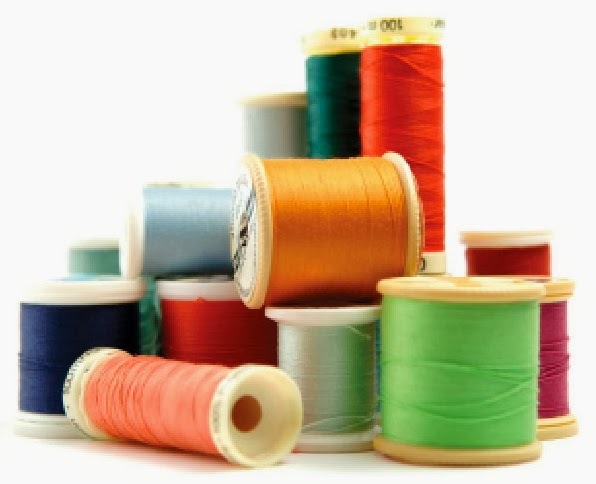 And sew all of the sections together! 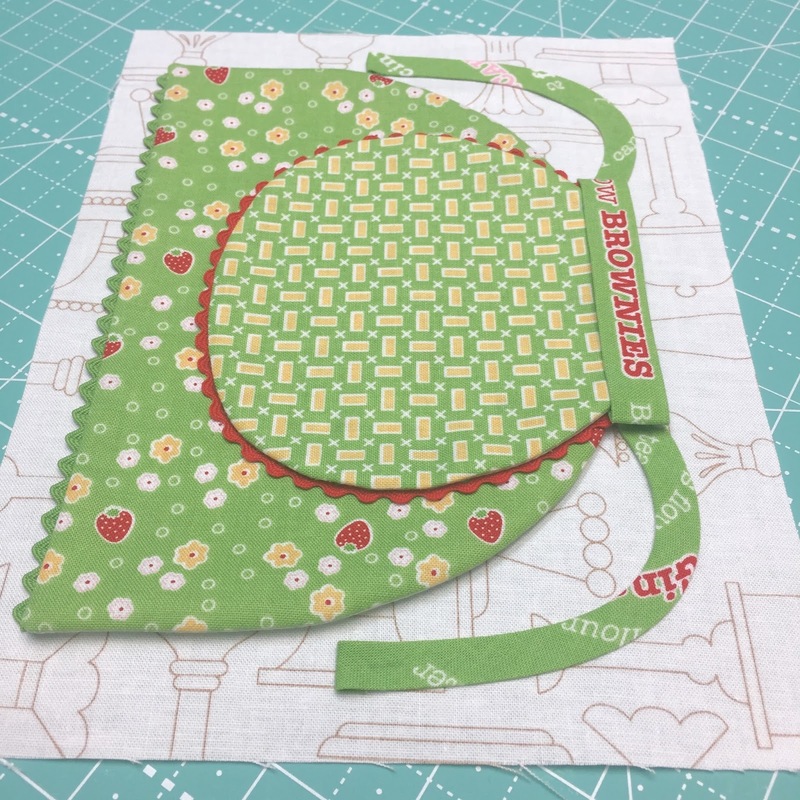 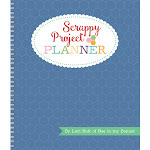 for a few more projects! 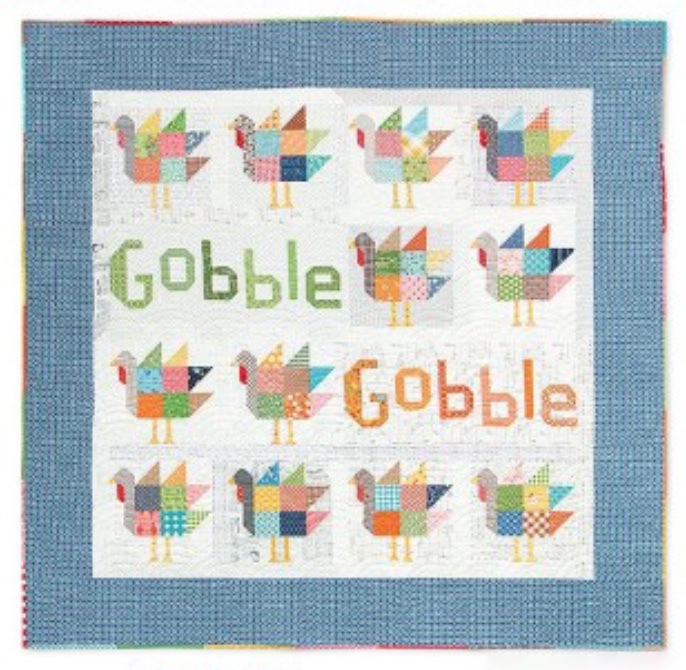 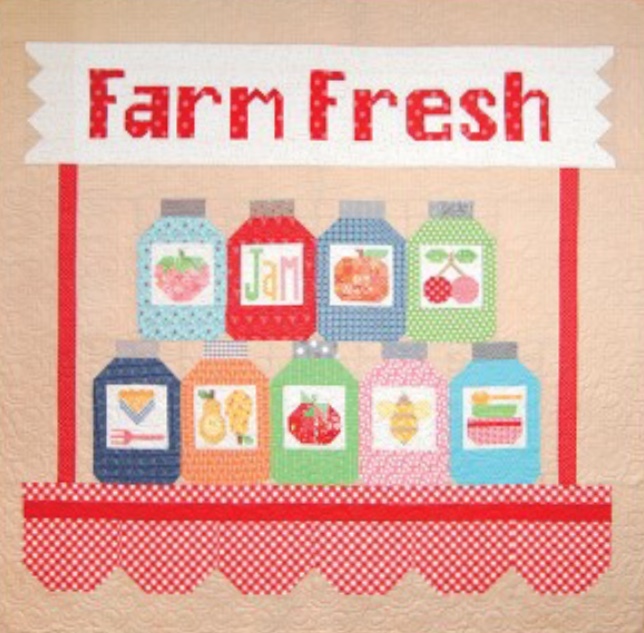 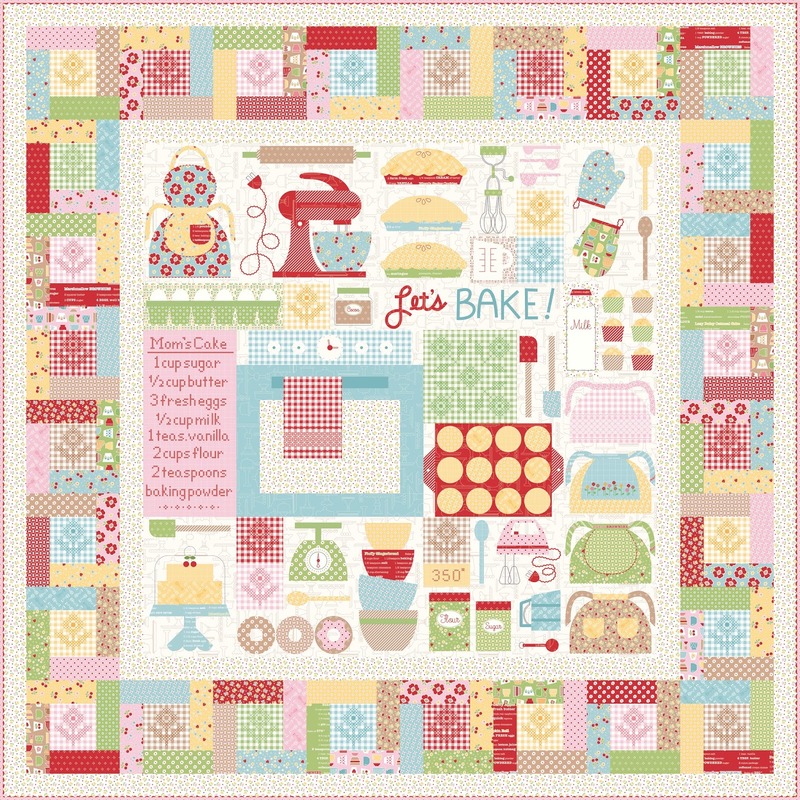 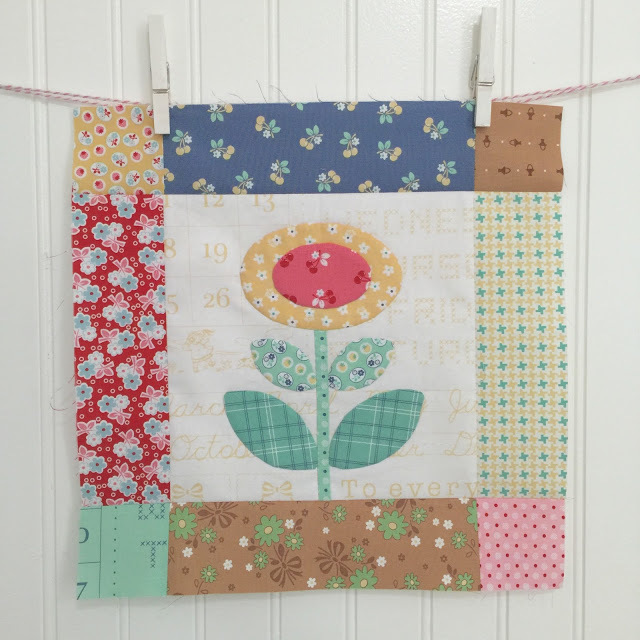 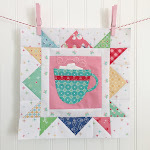 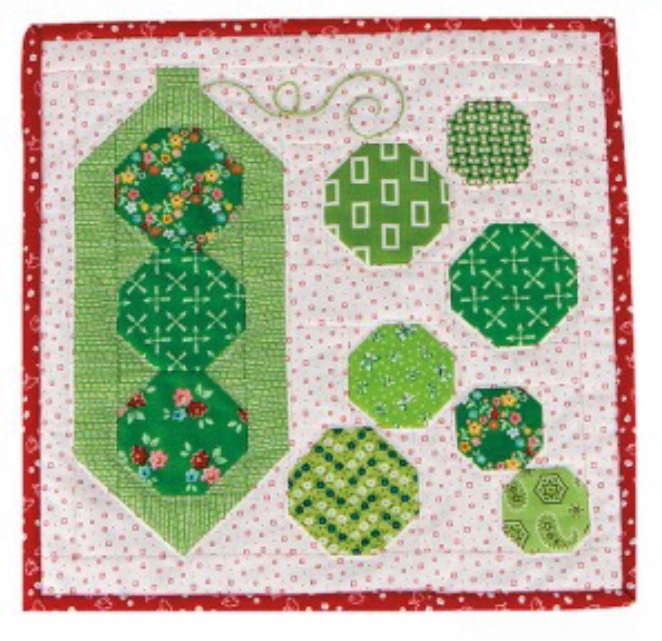 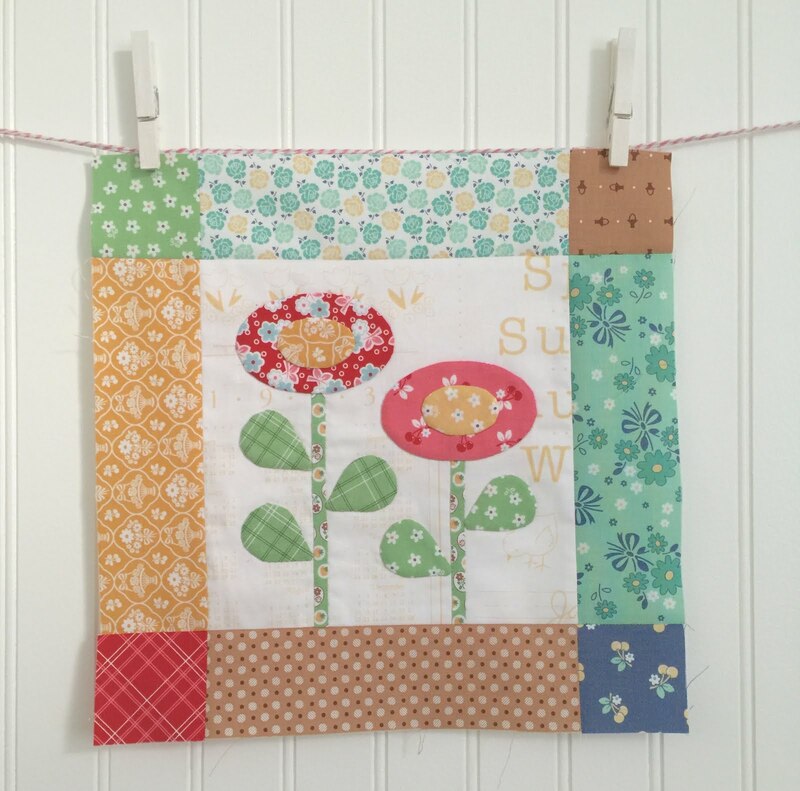 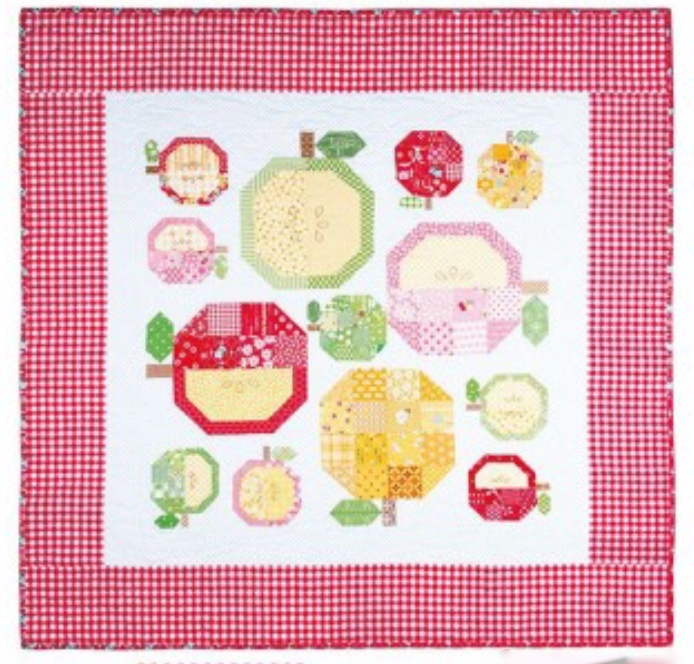 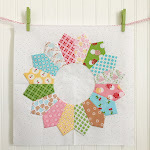 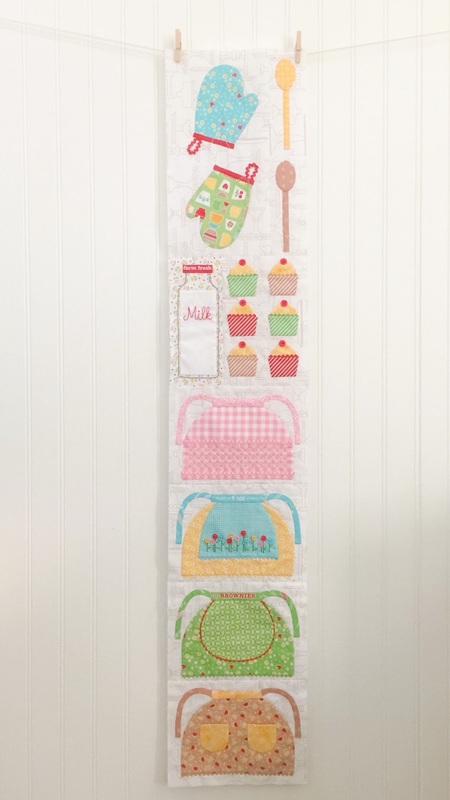 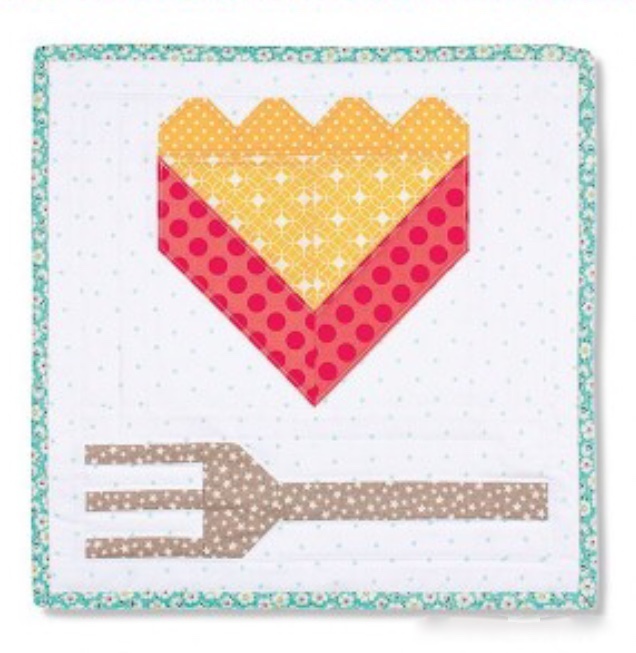 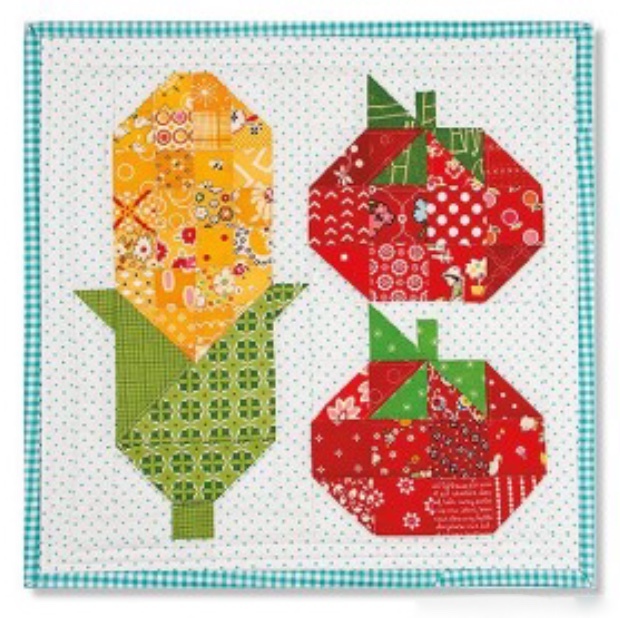 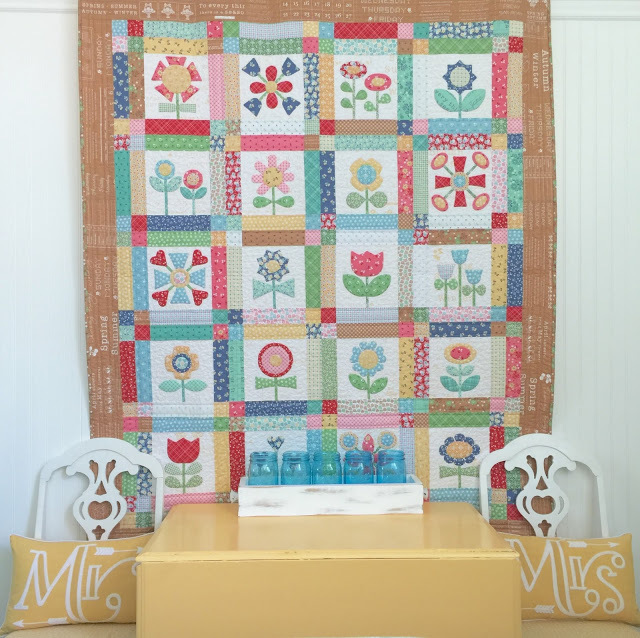 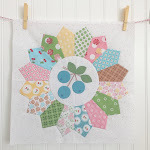 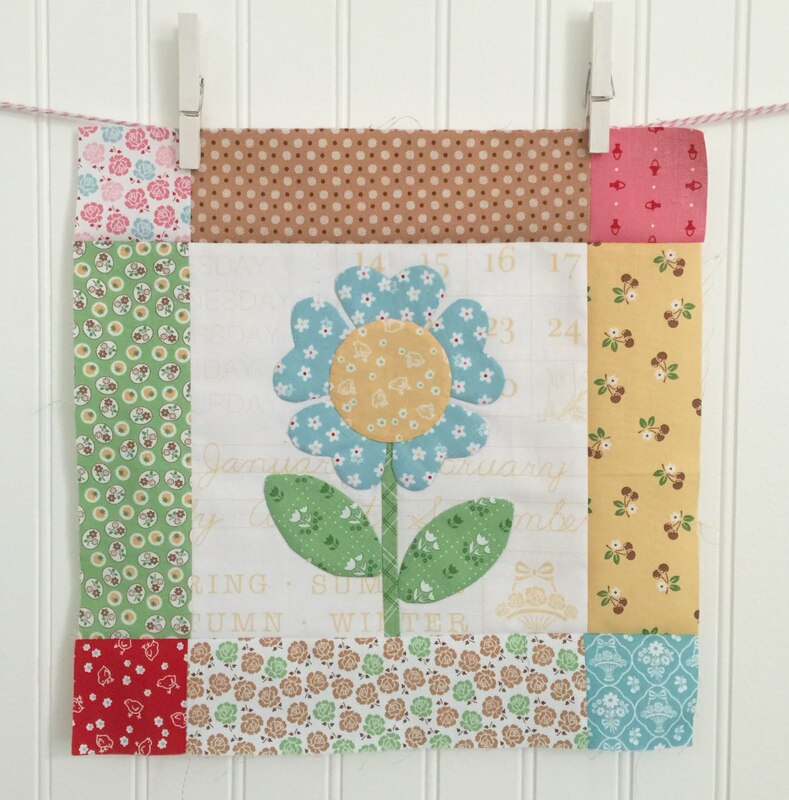 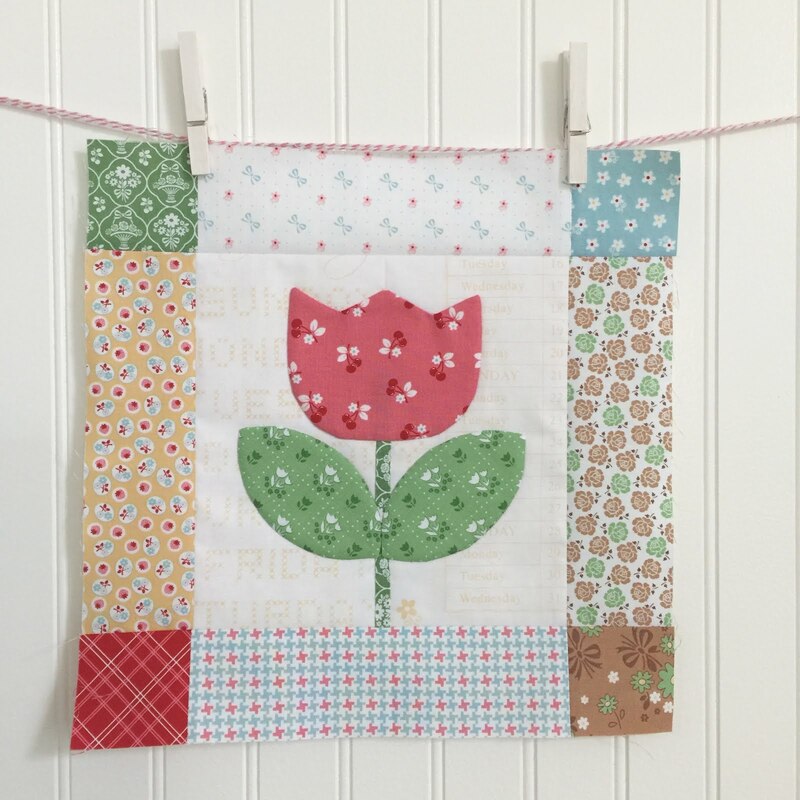 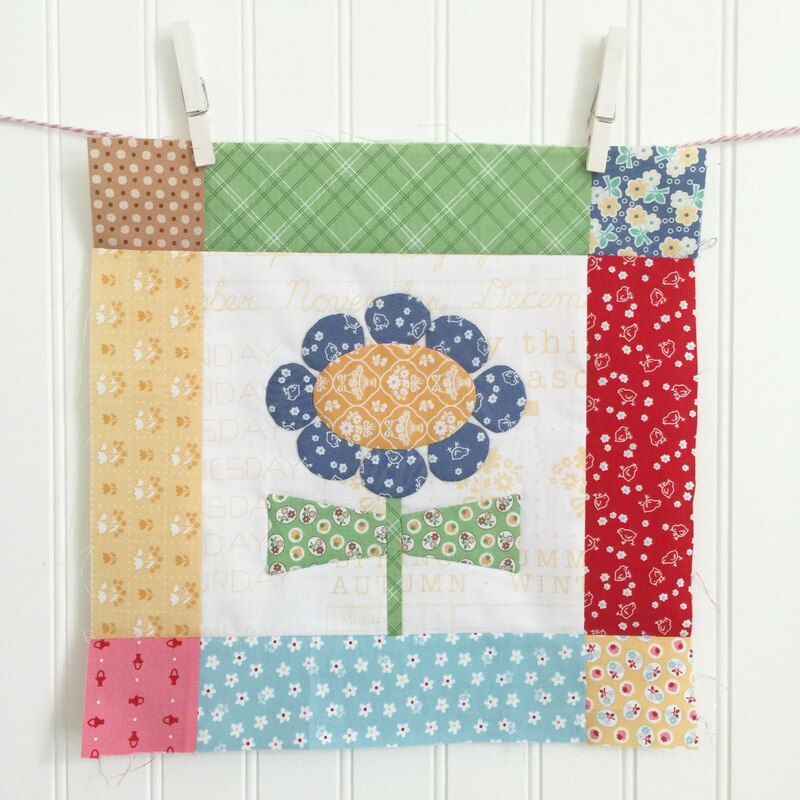 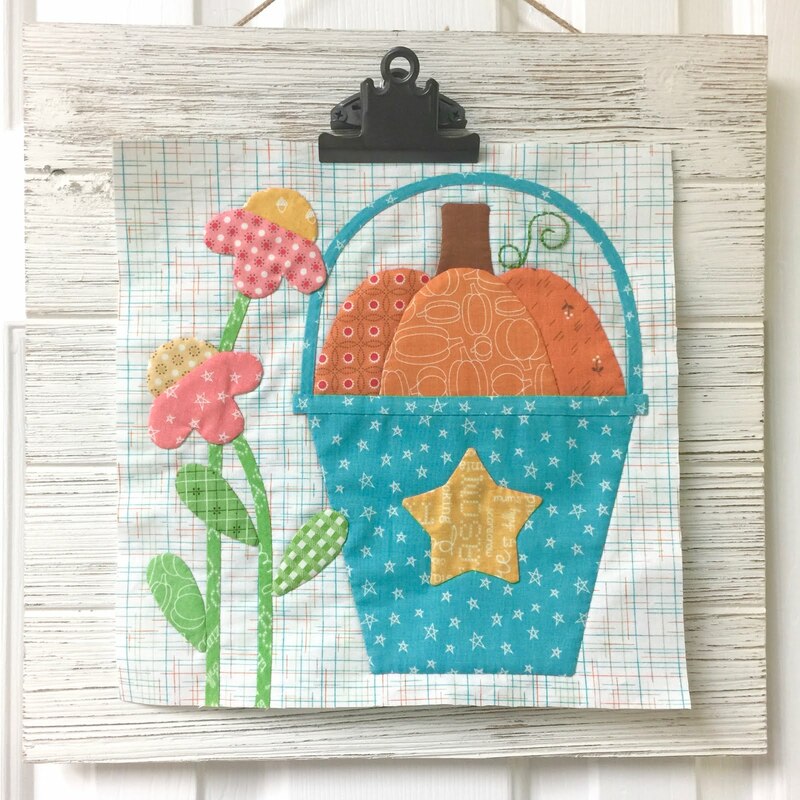 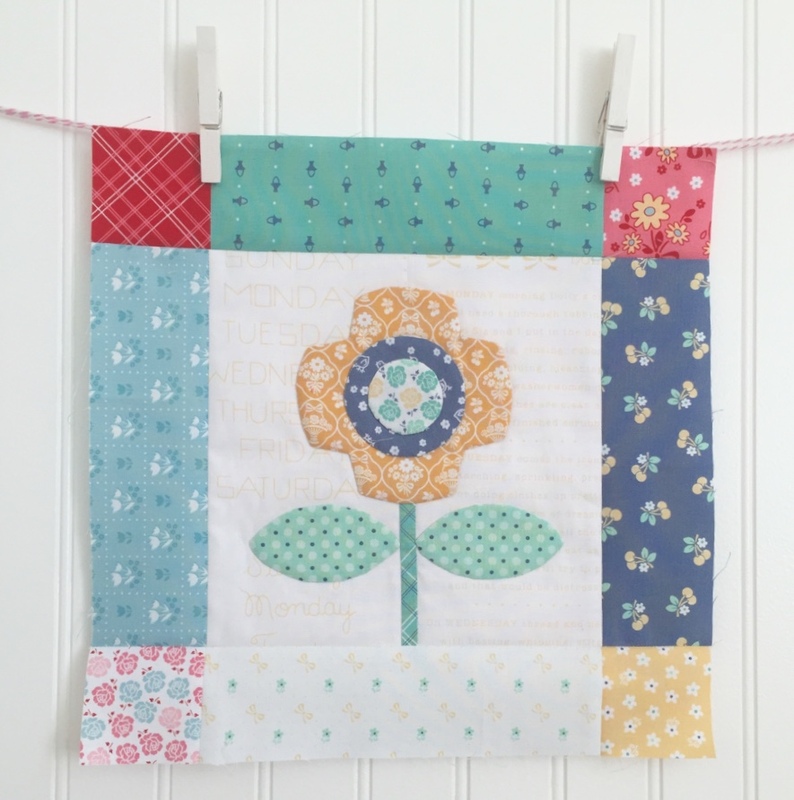 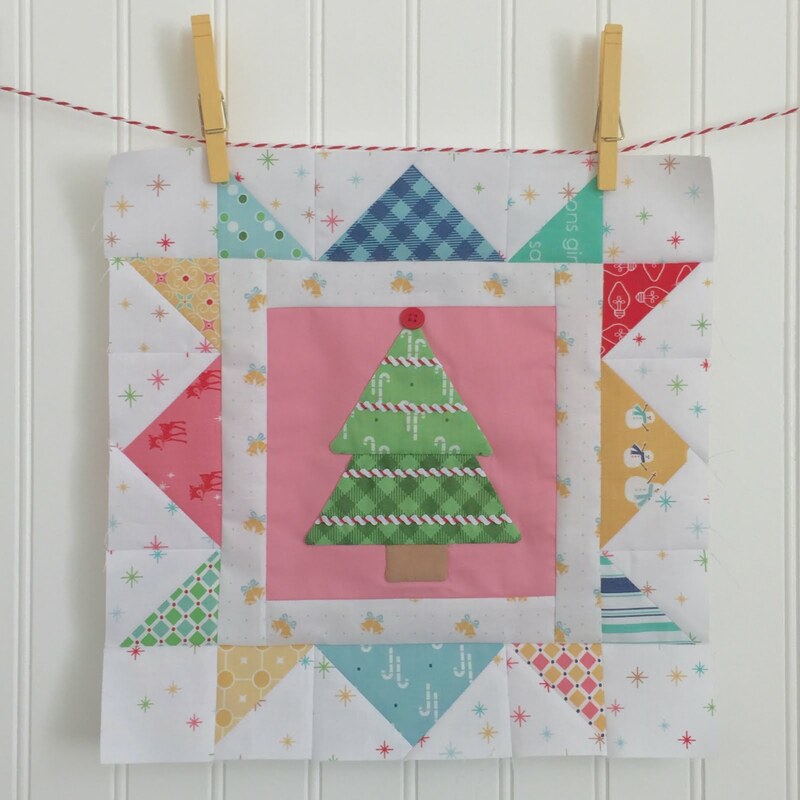 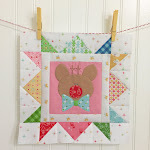 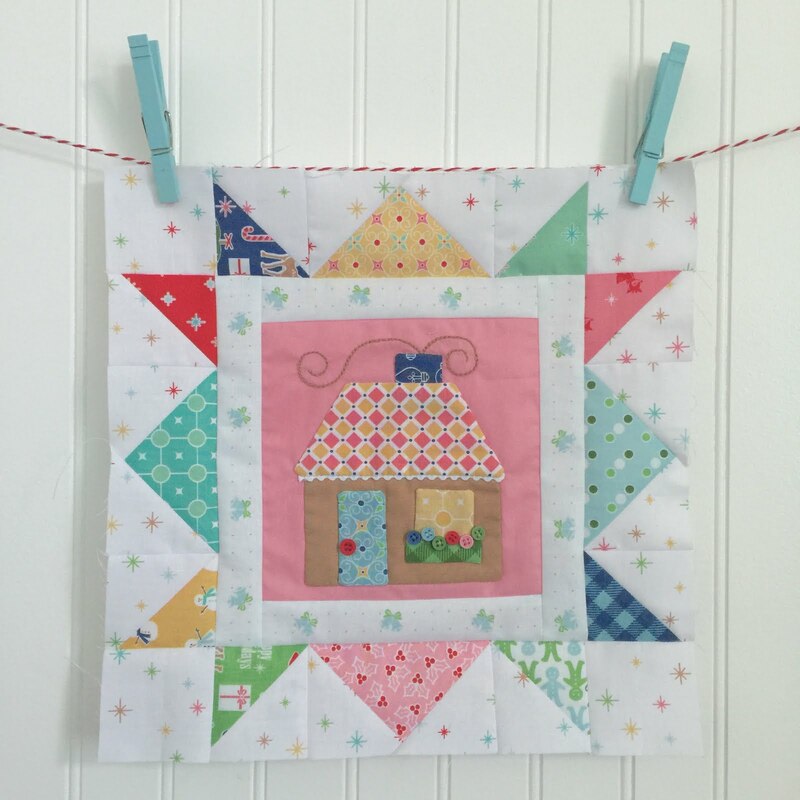 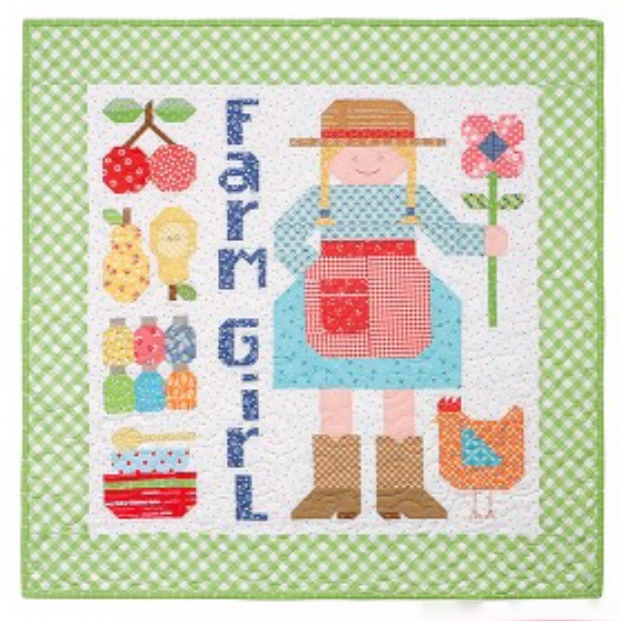 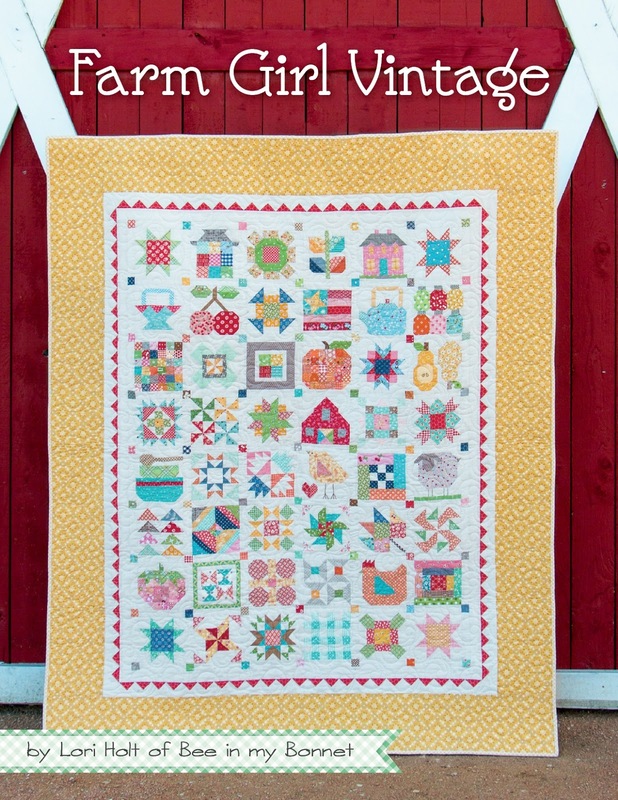 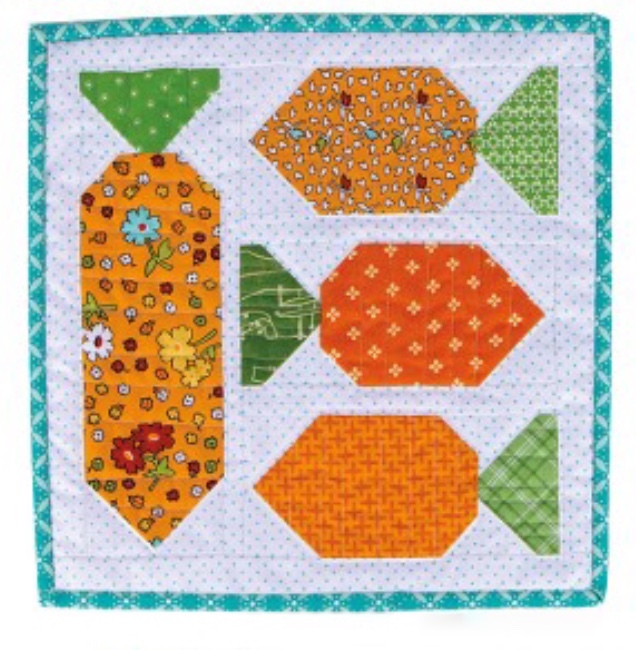 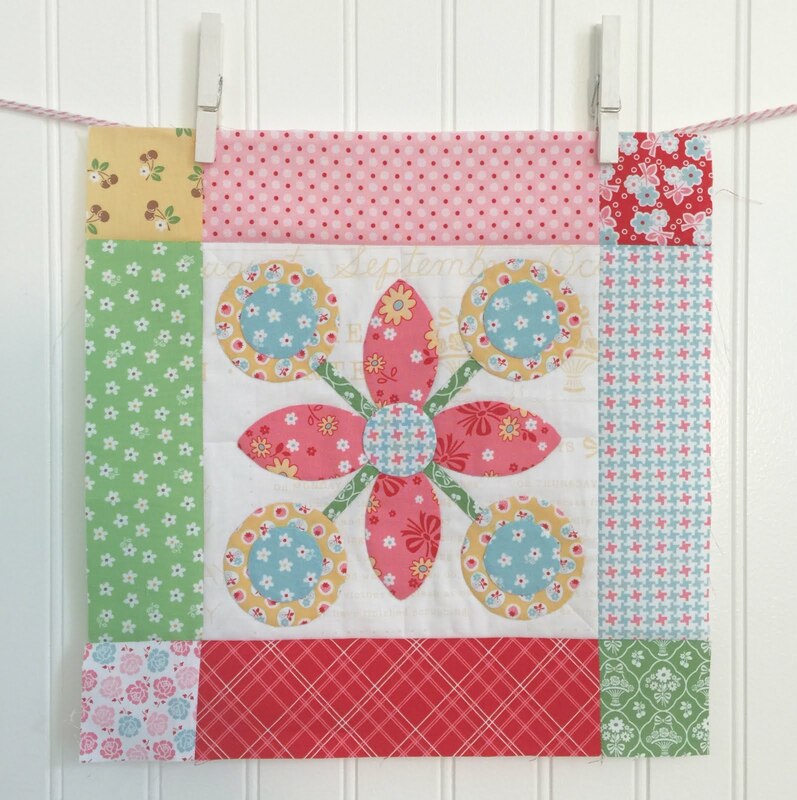 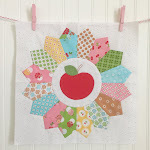 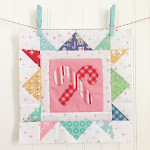 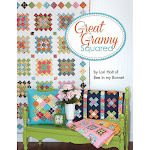 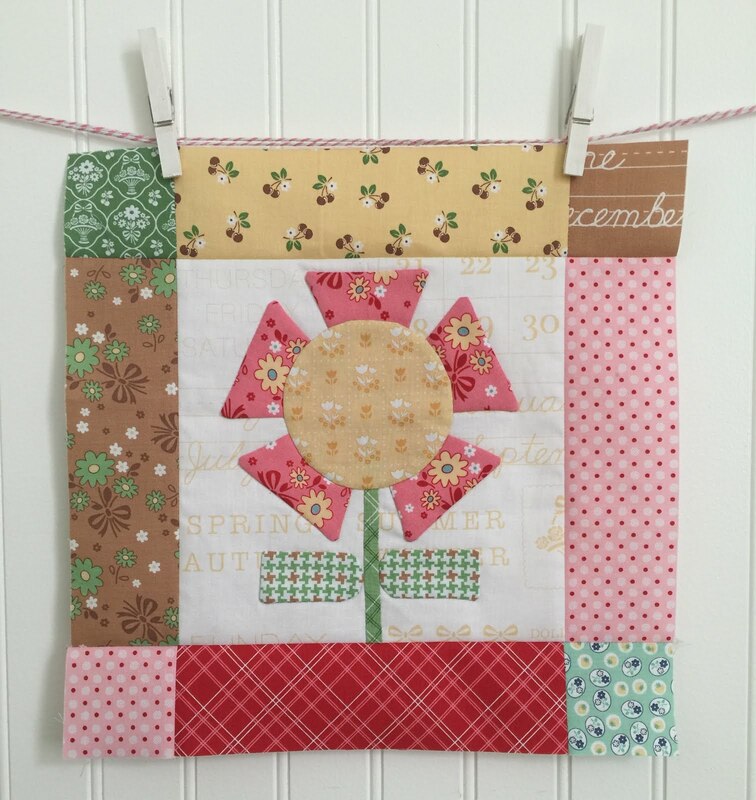 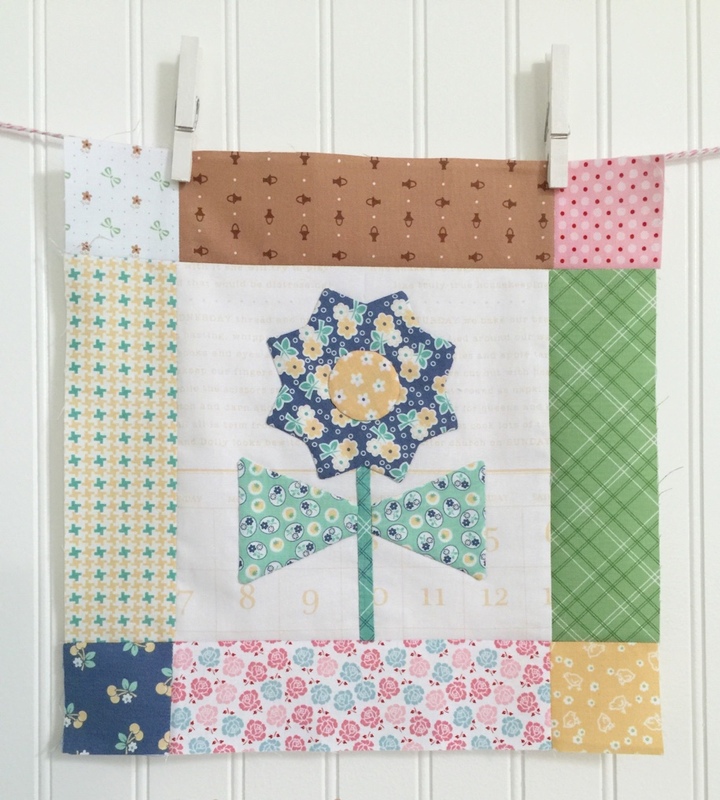 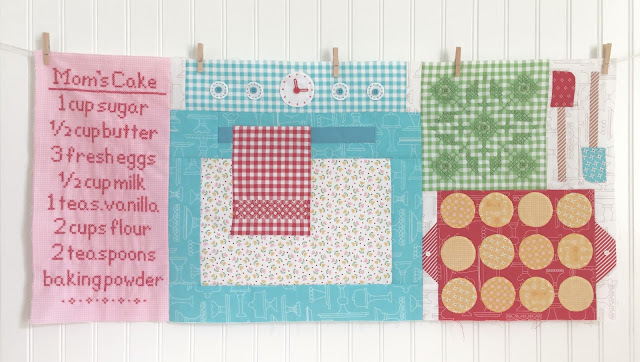 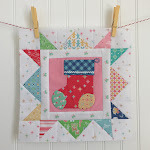 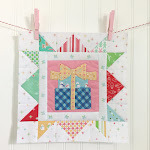 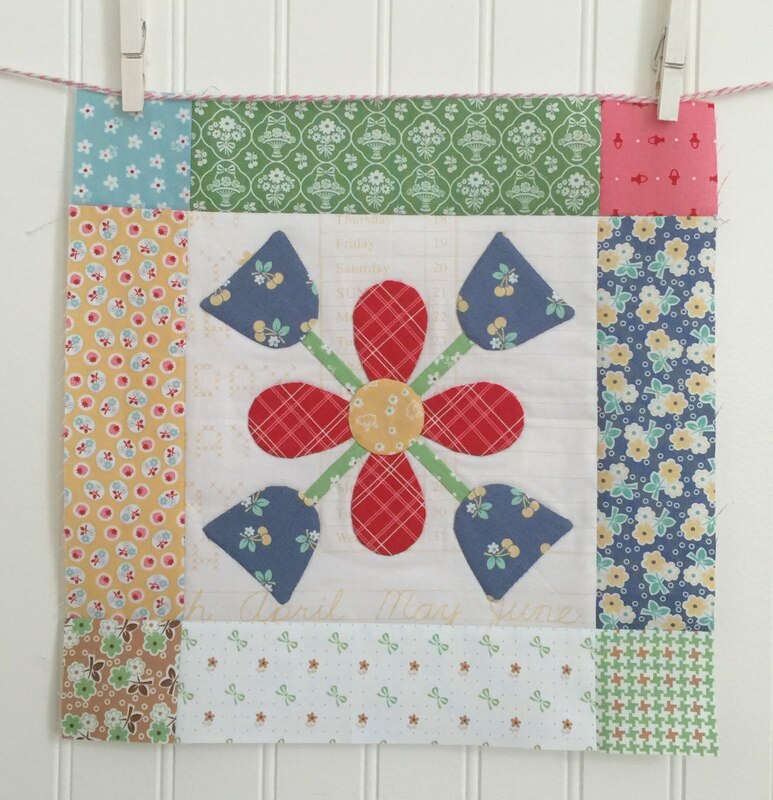 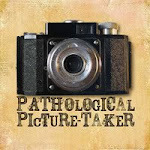 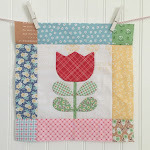 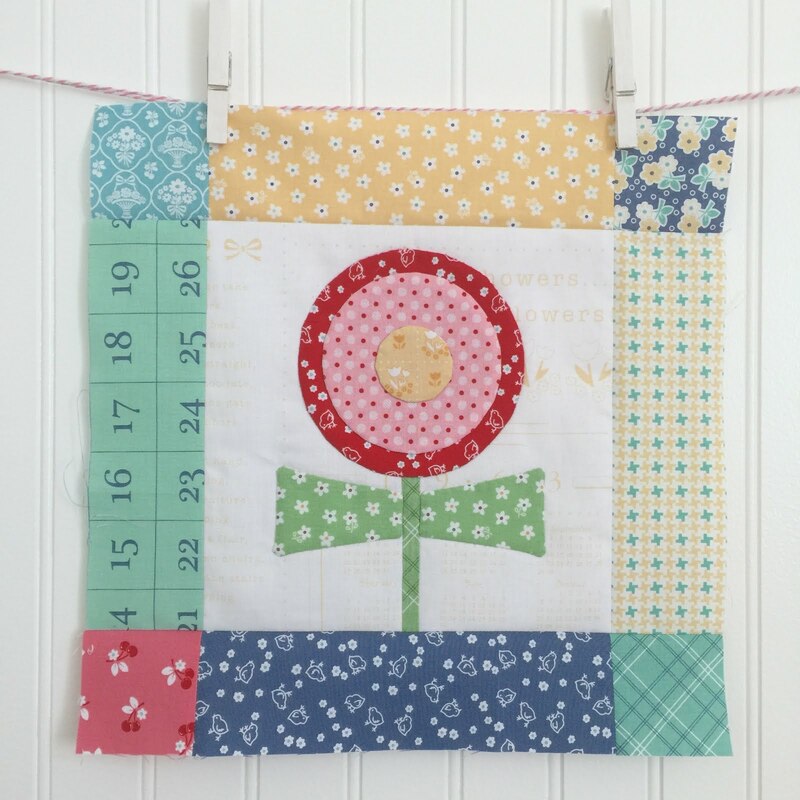 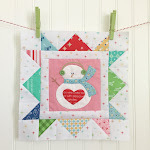 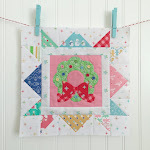 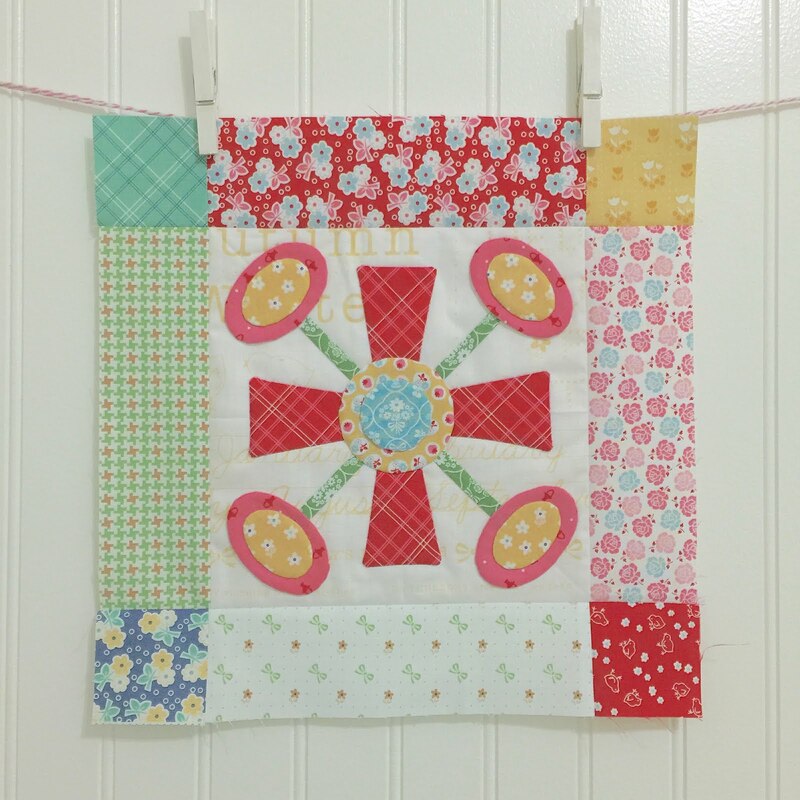 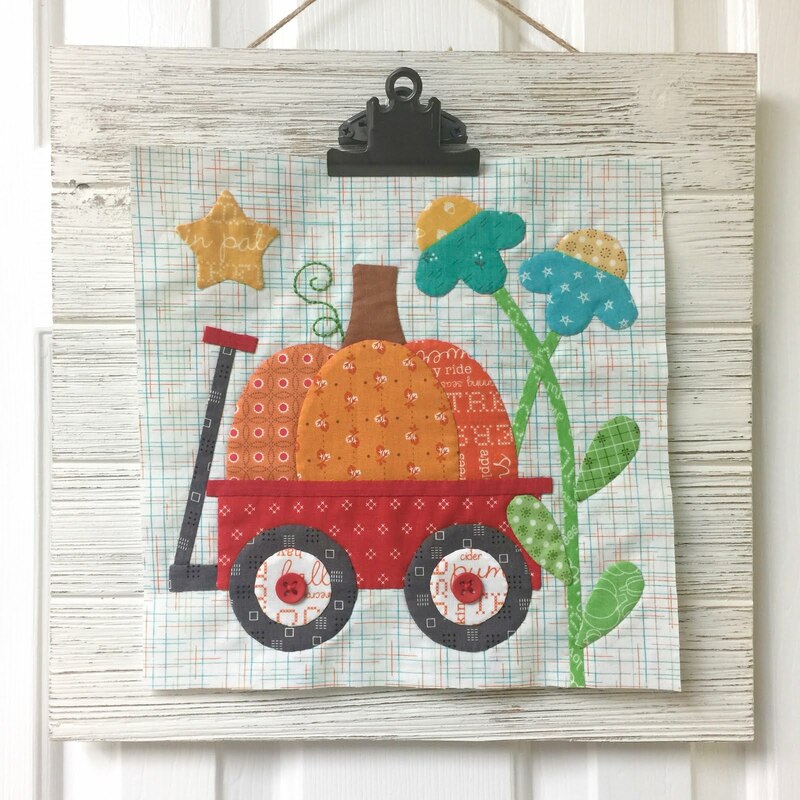 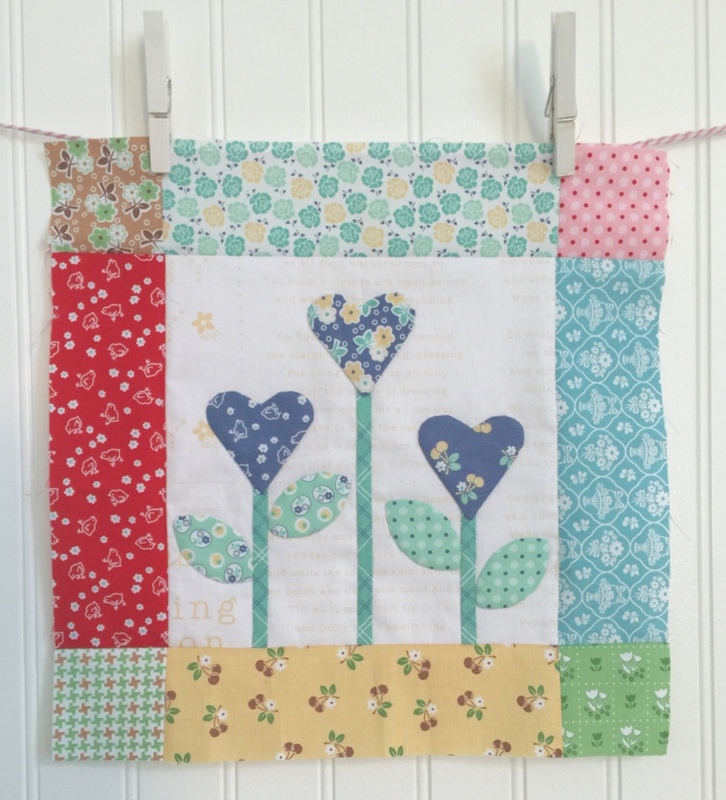 This has been SUCH a WAY FUN quilting project, Lori! 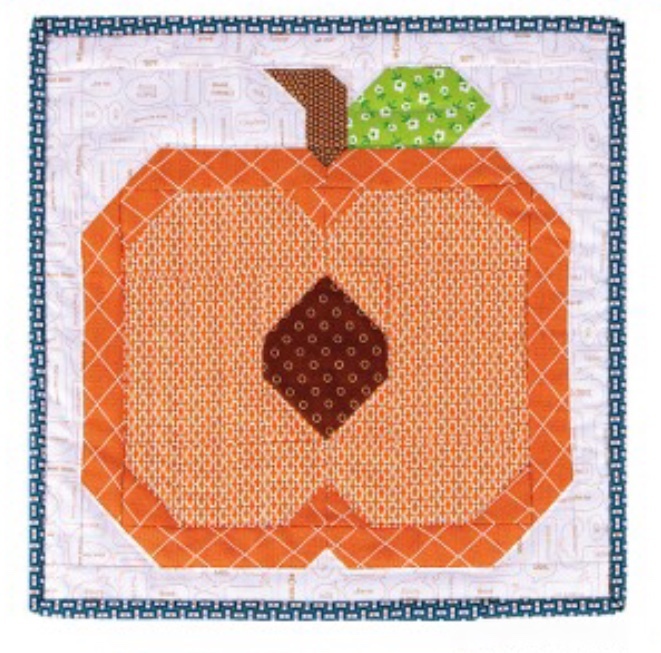 First one I've done with you though I have fabrics and templates for 3 others. 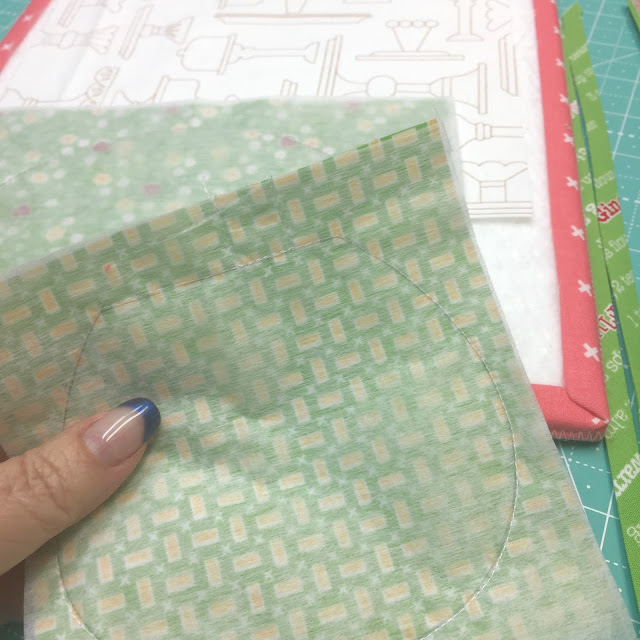 I started at week 3 and FINALLY caught up... have the fabrics cut for the last 2 aprons. 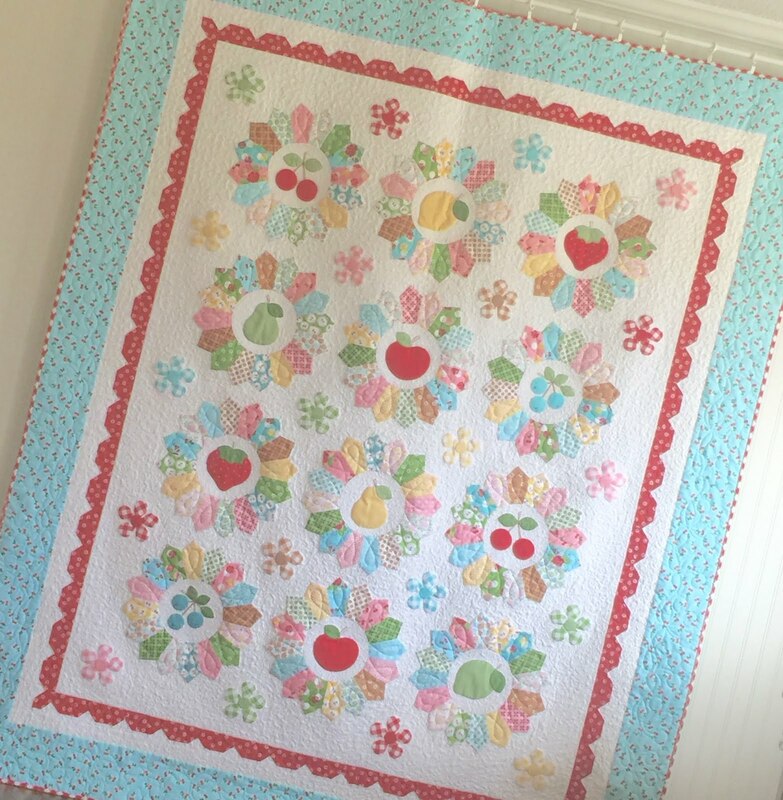 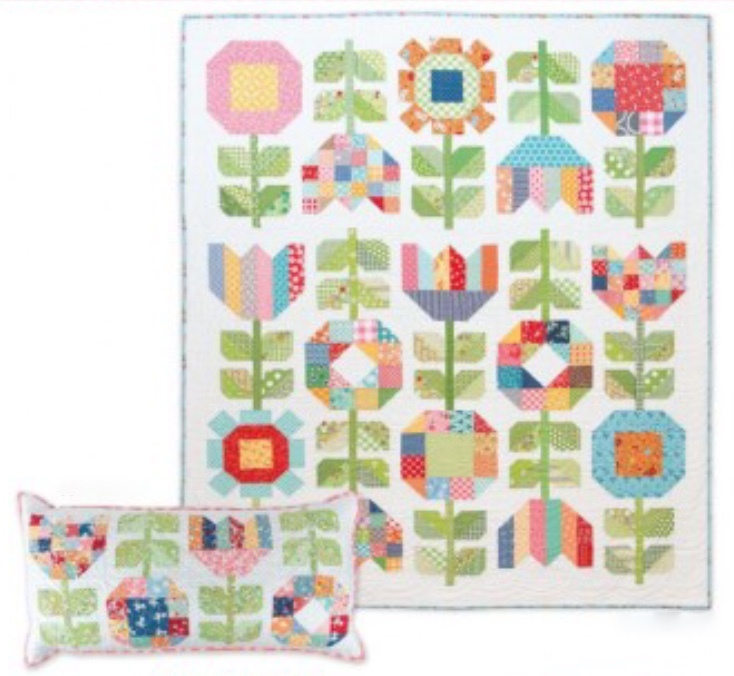 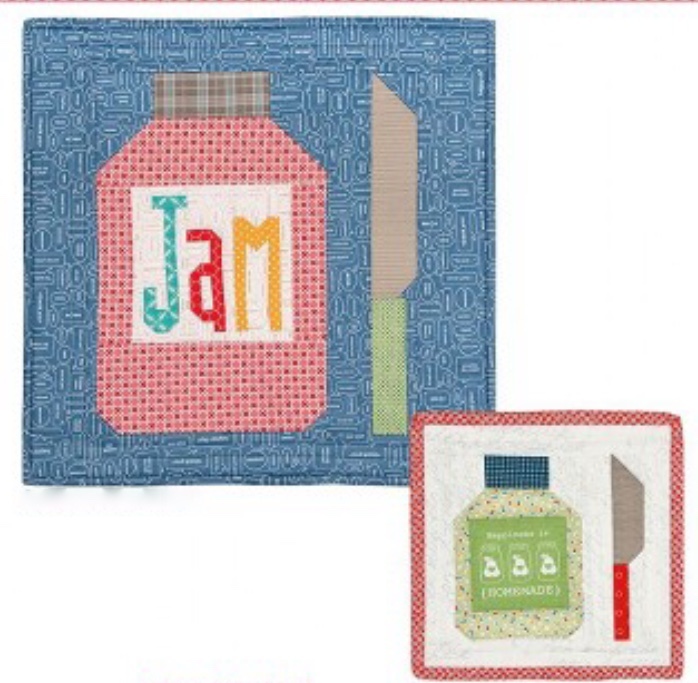 I'm anxious to see some close-ups of how yours was quilted! 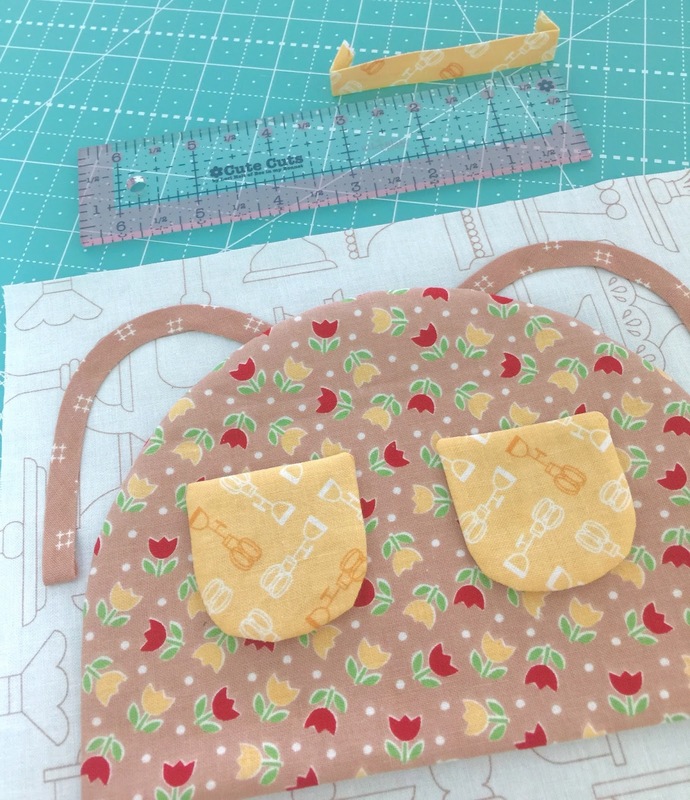 Thank you do much for the tutorials! 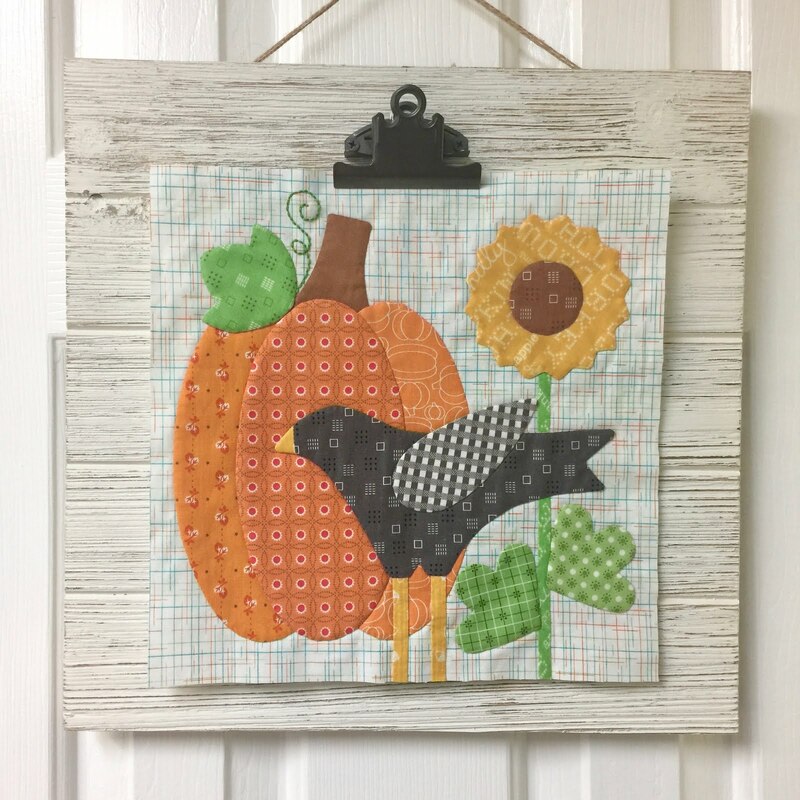 I see pics of the Autumn one. 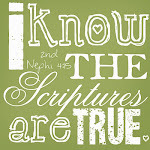 .. think I'm hooked!